Four goals in 15 minutes were enough for Concord to dismantle Hungerford and extend the Crusaders winless streak to five games. Hungerford should have had the first goal of the game inside eight minutes when Harvey Bradbury was one on one with Sam Beasant but his strike couldn’t beat the goalkeeper. The striker was a lone figure up front and worked hard until the first goal nestled into the back of the net. It was a mistake by goalkeeper Liam Driscoll whose misplaced pass only found Ryan Hayes, the midfielder took his time before calmly stroking into the back of the net. Heads dropped for the visitors allowing the hosts to claim more goals before half time. Jack Midson tapped home from a free kick before scoring again with a wonderful curling effort. Alex Wall then struck against his former employees. The beach boys went on cruise control second half and appealed for a penalty with Midson early on when he claimed he was pulled back in the penalty area. Ramone Rose made an impact as a substitute and forced an excellent save from Beasant following his swerving long range strike. Alfy Whittingham was then the driving force of a counter attack setting Darren Foxley through but the winger pulled his shot wide. Wall still wanted to put more gloss on the score line for the hosts but Driscoll was equal to his effort. 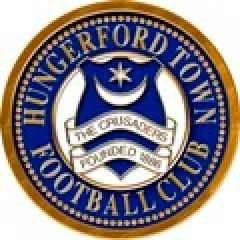 The remaining 25 minutes were played like a friendly as Concord settled for going back to second in the table, whilst Hungerford remained in the relegation places.